Sodium acetate can be easily prepared by reacting a solution of acetic acid with sodium bicarbonate or sodium carbonate decahydrate. In this synthesis, sodium carbonate decahydrate has been used. 1000 mL of 9% acetic acid contains approximately 1.50 moles of the mentioned acid. Considering the amounts of substances shown by the chemical equation, half the amount of sodium carbonate decahydrate is needed. Thereby, 0.75 moles (214.4 grams) of the mentioned compound has been weighed. 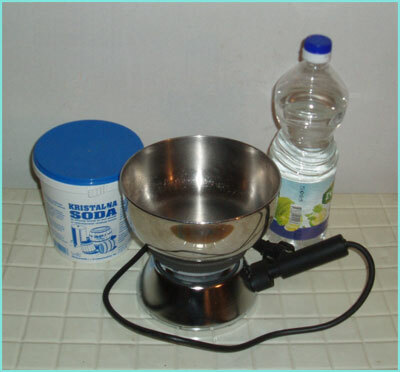 The procedure is very simple, so, along with the needed chemicals, the only other items needed are a large beaker or a pot in which the reaction will be done, and a gas burner or an electrical hot plate. 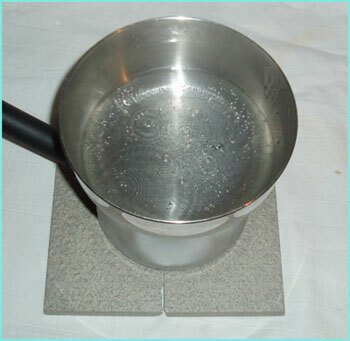 First, the solution of acetic acid is poured in a pot. 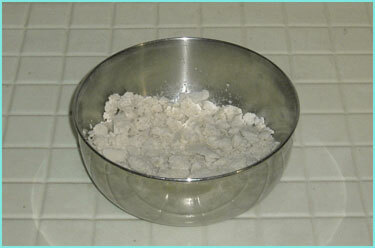 After that, sodium carbonate decahydrate is added, while stirring constantly. During the reaction, a certain amount of carbon dioxide is produced, so it is better to add Na2CO3x10H2O slowly, so that the reaction doesn't become overly vigorous. After the sodium carbonate decahydrate has been added, the reaction is finished. 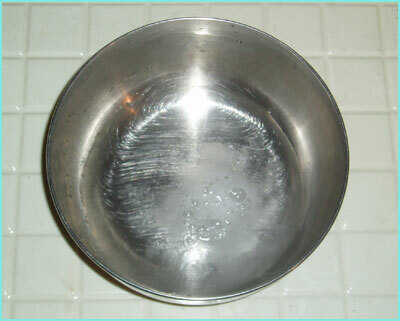 The next step involves heating the solution of sodium acetate in order to remove as much water as possible. The solution is heated until solid sodium acetate starts to form. After that moment, sodium acetate is separated to a separate container. Sodium acetate can then be additionaly dried by using silica gel or other compounds which are usually used for water absorption. Such sodium acetate comes in trihydrate form. The trihydrate can be converted to the anhydride (shown in the last image) by further heating it or by using other similar procedures.